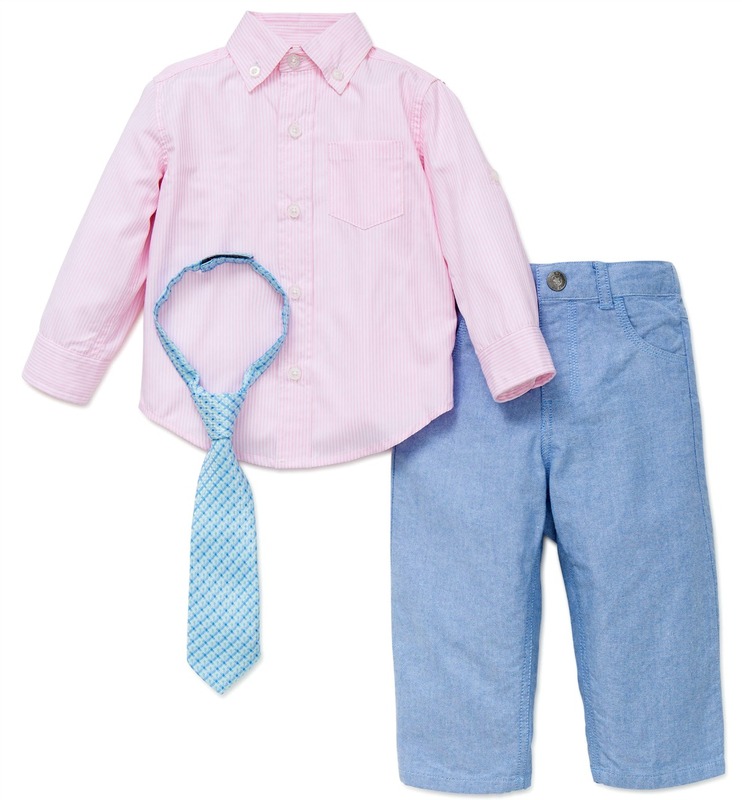 Fabulous Little Me Collection pink oxford button down baby and toddler boys long sleeved dress shirt comes with coordinating velcro tie and matching blue oxford pants with trouser front and gentle elastic back. Perfect for Easter, weddings and any special occasion! Machine wash. Imported.